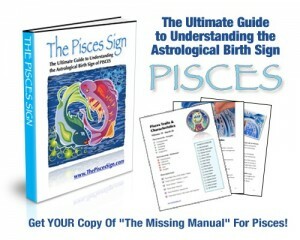 ThePiscesSign.com provides entertainment and information relating to the topic of the Astrological sign of Pisces over the World Wide Web (the “website”). While most areas of this website may be accessed and viewed by members of the public, some areas are password protected and require the user to take certain actions in order to obtain a password includng opting in to an email list or autoresponder service. Additionally, some purchases made through ThePiscesSign.com will require the user to provide their personal contact information in order to fulfill their order. ThePiscesSign.com does not share any information obtained with any third parties for any reason and we do not send unsolicited offers or communications. We will not spam you and we will not sell your information to anyone, ever. In the event that ThePiscesSign.com sells or transfers ownership, operation or control of any or all of its websites or engages any subcontractor or agent to operate any website or provide any service related to any website, ThePiscesSign.com reserves the right to transfer or disclose all of its data to the buyer, subcontractor or agent.